SAN ANTONIO - When Fiesta rolls around, Mother Nature does have a history of raining on our parade, quite literally. But, the window is small for any rain over the next few days and we should be able to salvage MOST of this weekend. Viva Fiesta! 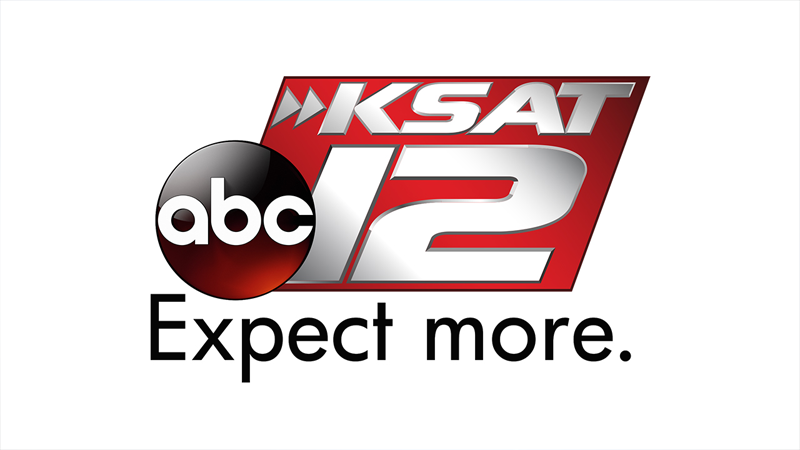 Send KSAT12 your fun Fiesta pictures! Clouds fill in and humidity returns. Drizzle and lights showers are possible after midnight. Temperatures will stay mild in the low 60s. A few storms are forecast to develop along the Rio Grande. This activity will move across the Edwards Plateau and Hill Country into the pre-dawn hours of Saturday. 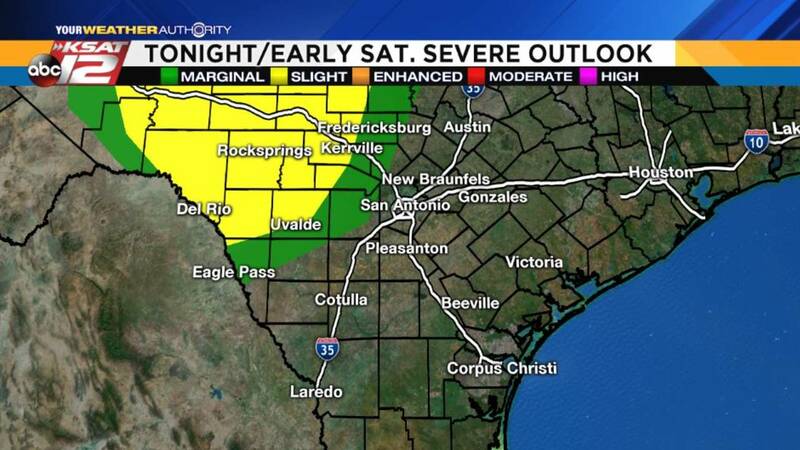 In addition, a few of the storms could be strong to severe, with large hail as the main threat. 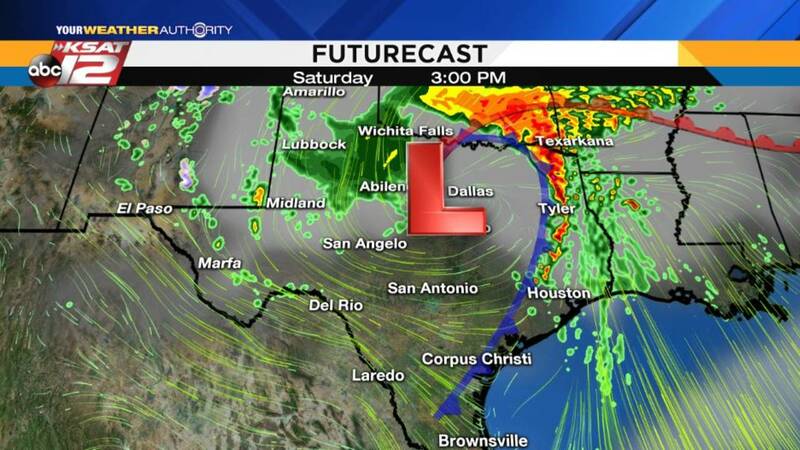 Storms will quickly make their way East, likely weakening as they reach the I-35 corridor. By mid-morning, this activity will quickly sweep to the Northeast. Clearing skies are forecast by midday. Any heavy storms will have moved Northeast, however, a stray shower for those of us north of San Antonio remains possible. It will turn breezy, while temperatures reach into the low 80s. Expect mostly sunny skies. Cool, dry air filters into South Texas, allowing for a chilly Sunday start. Many places will dip into the 40s, with some breezy winds. 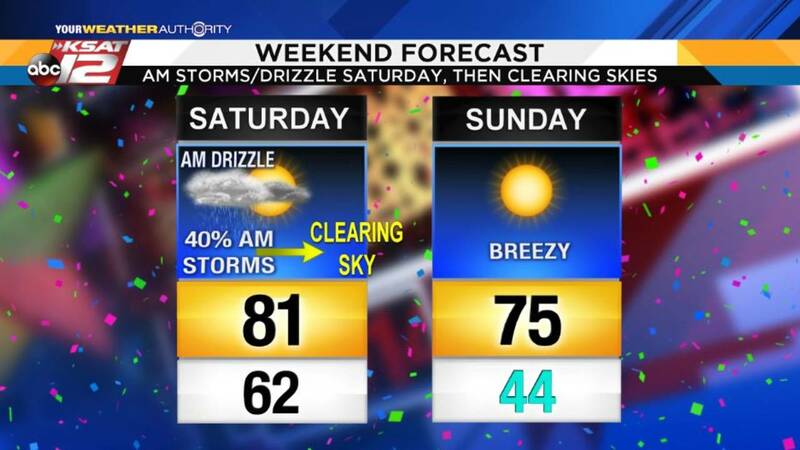 It stays breezy through Sunday afternoon, with sunny skies, and temperatures in the mid-70s.